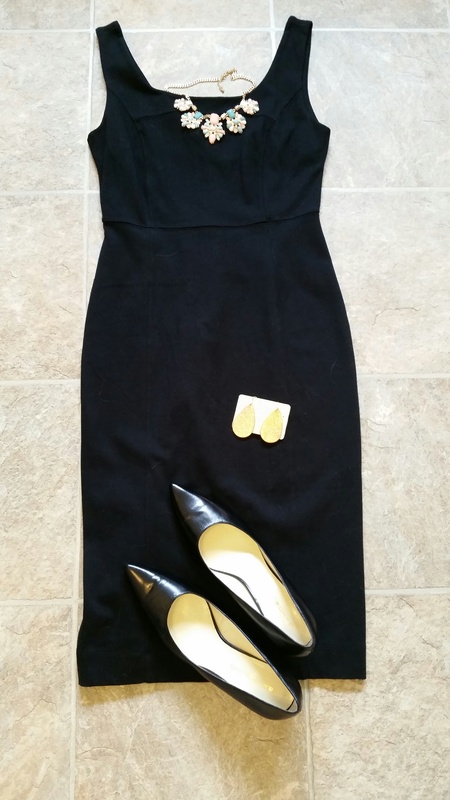 This little black dress is obviously for special occasions, but it’s the most CLASSIC thing in my closet. I’ve paired it with my favorite BOLD accessories: Stitch Fix necklace and new Nickel & Suede copper earrings. Confession: I’ve owned this dress for years, bought it on sale at Gap, and have never worn it! 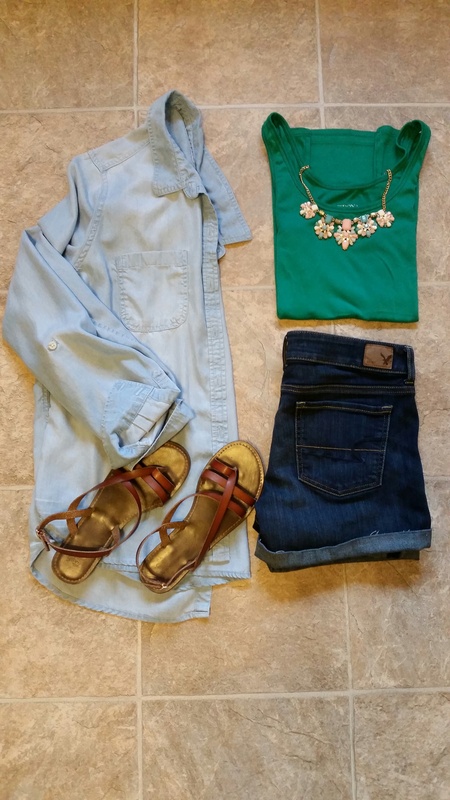 Do you have any “new” old items hanging around your closet? Feedback time: Do you like these posts? Are they annoying? Are they inspirational? 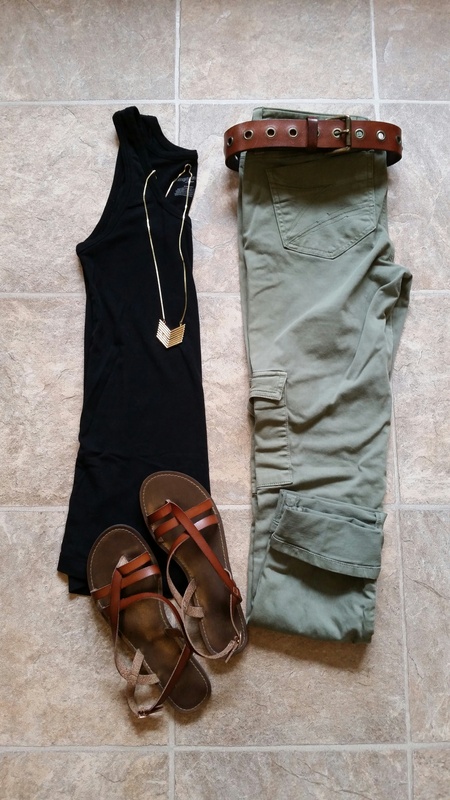 My goal is to post “real” outfits that fit into my lifestyle of sometimes date night, but mostly stay-at-home mom. I like following the style challenges because it gives me an idea to start with, then I can look through my clothes and put something together in a way I may not have thought of before. My FAVE ACCESSORY has to be my Nickel & Suede silver chrome leather earrings. They are so lightweight and go with any outfit, I wear them all the time! In fact I love them so much I have 3 pairs on order (birthday gift from Hubby) and can’t wait to add them to the 2 pair I already have. At $21 I would also consider them a STEAL. 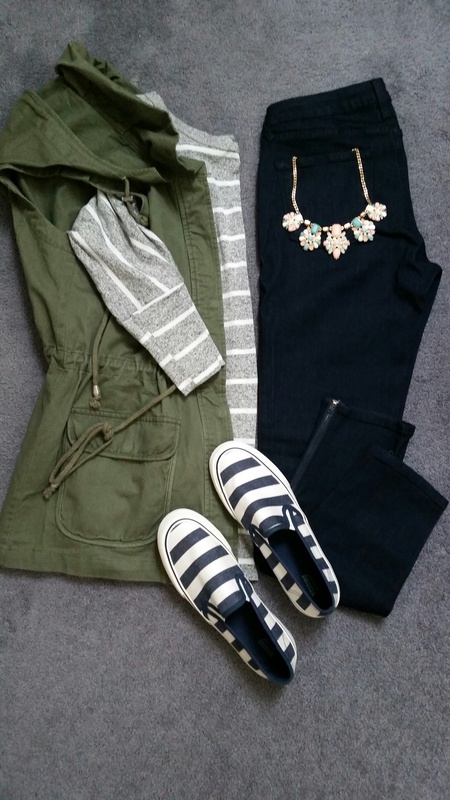 These gray skinny jeans are my STEAL at $19.99 – marked down from $44. As you can see from the tag, I’ve yet to wear them, but anticipate lots of use! What are your favorite accessories? Do you splurge shop or go for the steal? 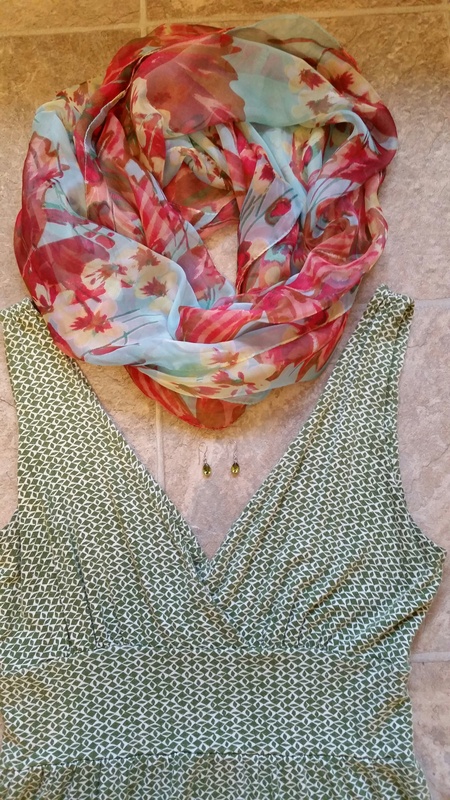 Both my dress and scarf (floral “in the garden”) came from eBay. Unfortunately, I don’t own anything with fruit on it! Do you own any clothing with fruit on it? So this is more of a “gray out” than a white out, but the closest I could get! 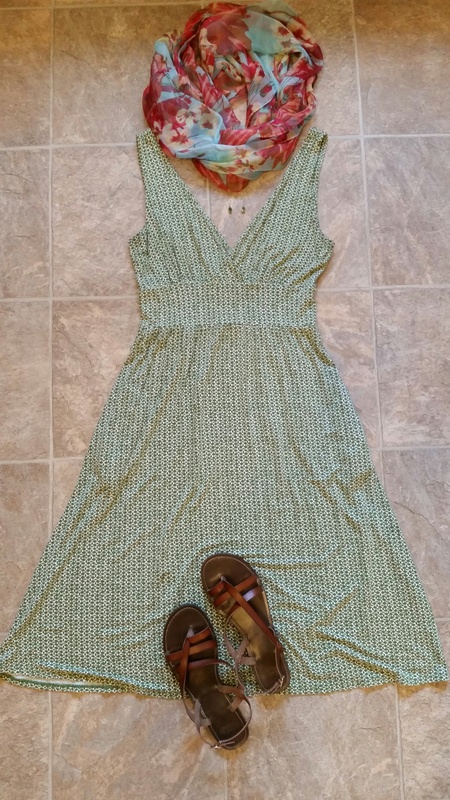 I got this Loft dress from eBay and the flip flops are new (past season), but just took tags off from Old Navy. What treasures are you finding in your closet these days?